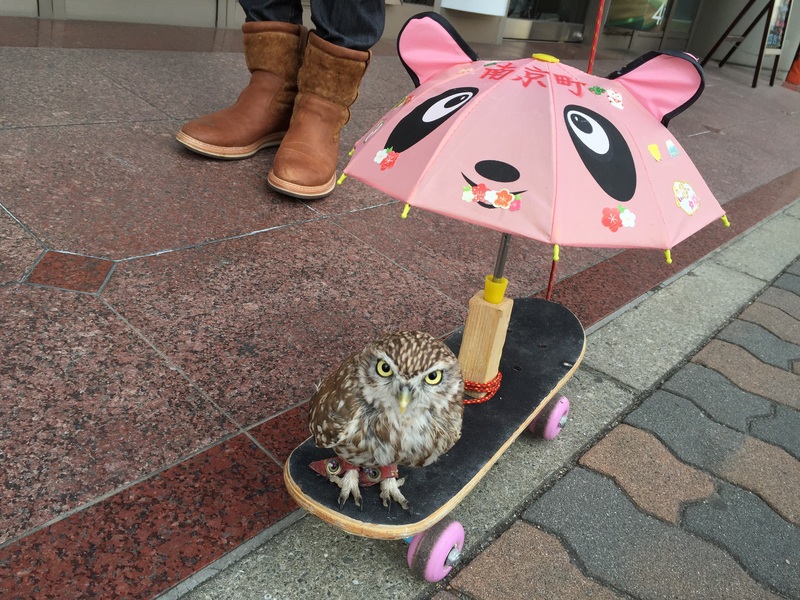 Have you ever seen an “owl-walking”? “Owl-walking” might be a new Kobe style! I see people walk their dog probably at least once a day but this is the first time to see an “owl-walking”. This entry was posted in English, 日本語 and tagged こうべ, 神戸口コミ, Kobe Characters, Kobe Chinatown, Momo the Owl. Bookmark the permalink.